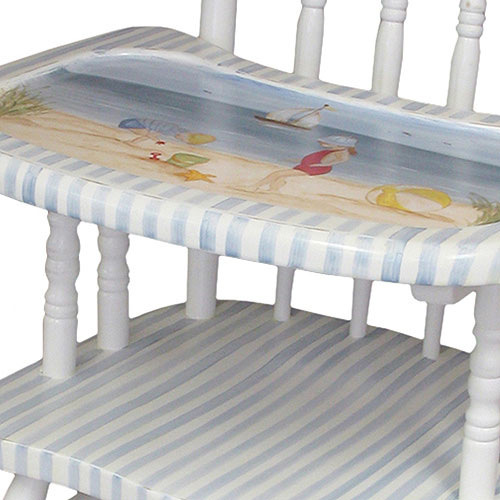 This unique and beautiful At the Beach High Chair will bring your little boy right up to the family table. 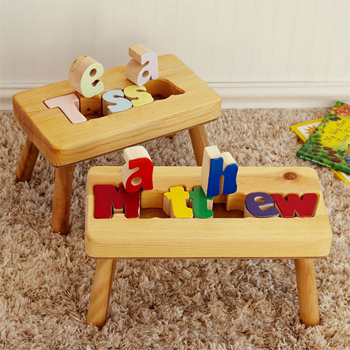 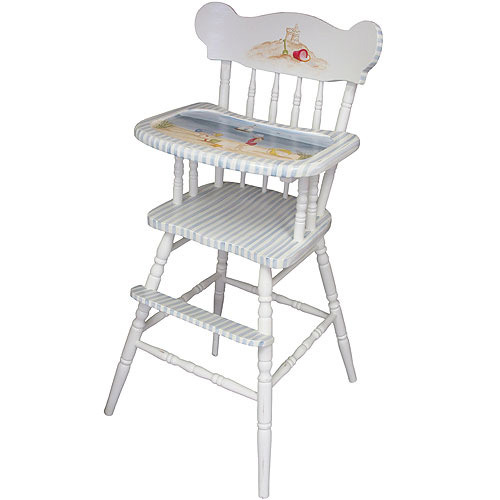 Crafted of solid hardwoods for utmost durability and top quality, this high chair will last for generations of enjoyment. 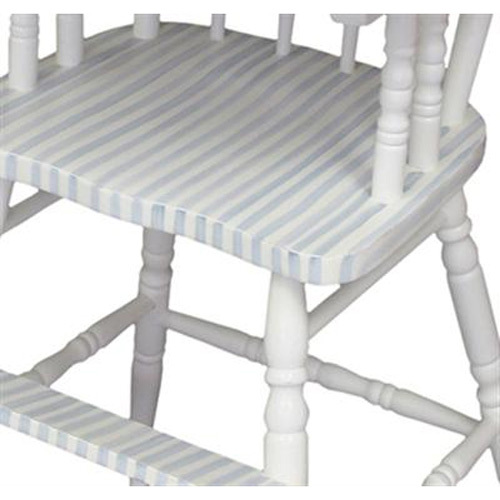 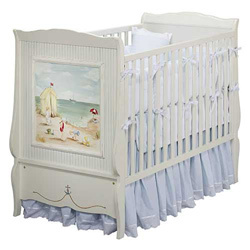 This magnificent high chair is finished in a snow white finish and is accented with vertical sea blue stripes. 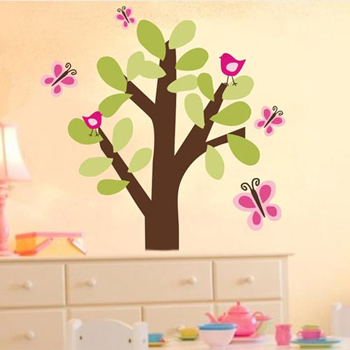 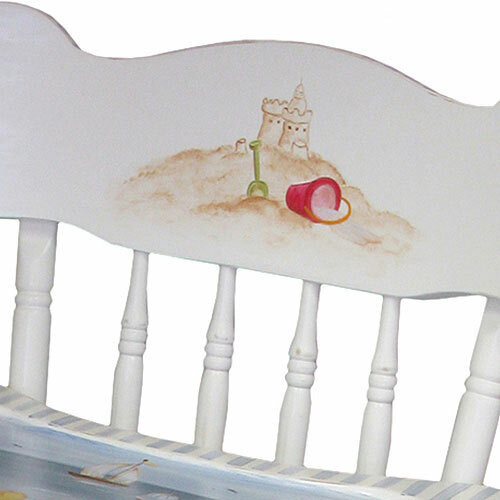 The seat back and tray both boast a cute and charming hand painted scene of little kids frolicking at the beach. 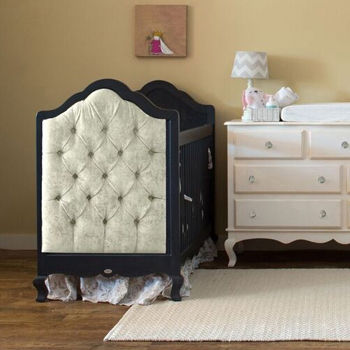 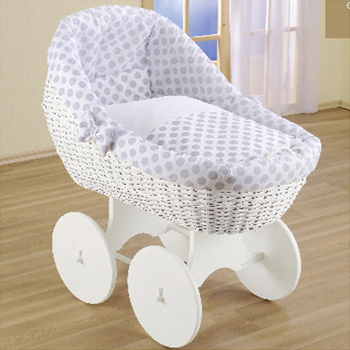 With its touch of whimsy, sweetness and delight, this high chair is sure to become the family favorite!